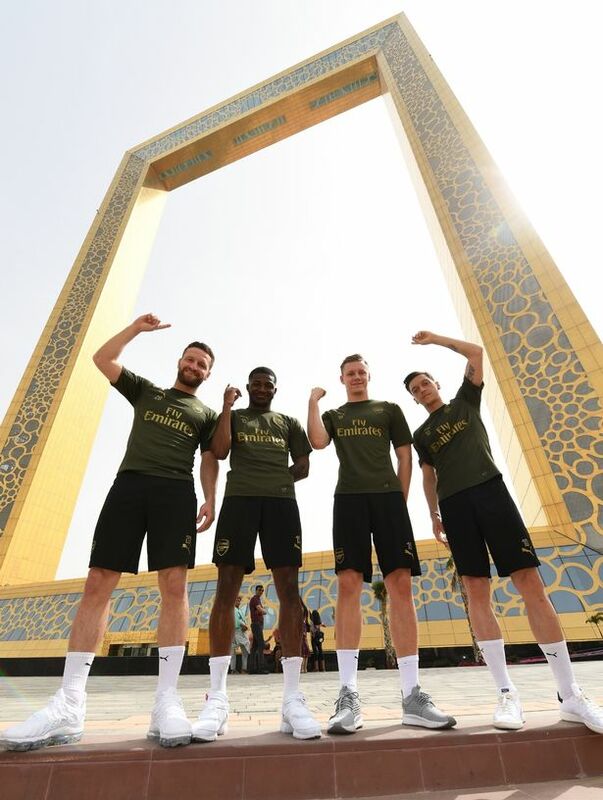 Arsenal players made out time for a sightseeing tour of Dubai as they took a break from their warm-weather training camp on Sunday. They have had a series of training sessions since leaving London for the United Arab Emirates on Thursday. To cool off, Mesut Ozil, Bernd Leno, Ainsley Maitland-Niles and Shkodran Mustafi made trips to the city's main landmarks in a hop-on hop-off sightseeing bus. They had an unobstructed and wide view of the city from the 150-metres high Dubai Frame before heading to the top of the world's tallest building, the Burj Khalifa. 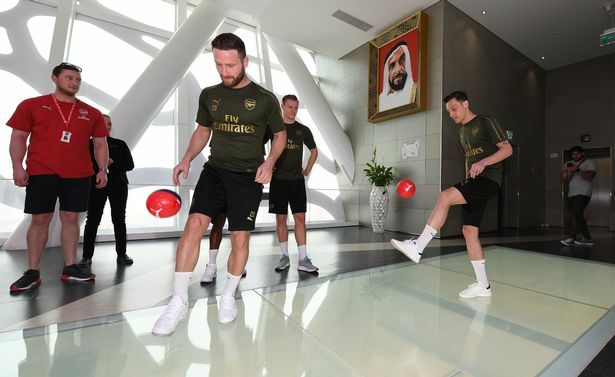 As part of their tour of Dubai, they will play a friendly match to open the newly-built Al Maktoum Stadium and it will be against Al-Nasr on Tuesday. Arsenal will resume competitive football with an April Fools Day fixture with Newcastle United after the ongoing international break.